In 1979 five enthusiastic blokes put on a night of Australian and folk music at Ulong RSL Club in the mountains above the NSW Mid North Coast. 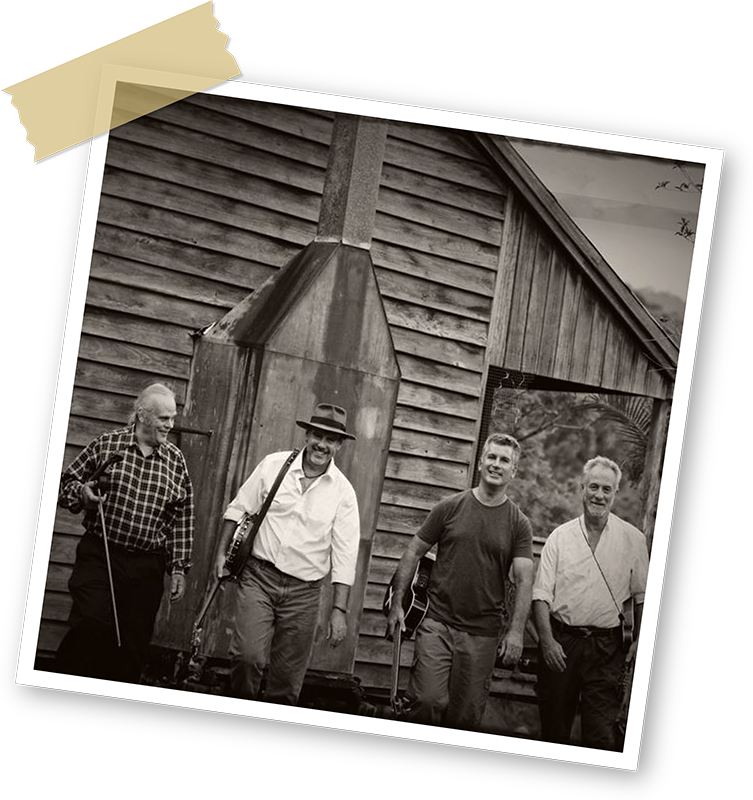 More than 30 years after that humble but optimistic beginning that band has gone on to do five albums, win awards, headline music festivals, supply movie soundtracks and, most of all, entertain thousands and thousands of people with its family-friendly, bush dances and history-laden folk music. In 2014 Tallowood’s line-up includes a swag of incredibly talented multi-instrumentalists who love and present folk music from around the world. The band’s music has a strong Celtic influence and an emphasis on preserving the Australian family bush dance – songs that transport the audience through time and emotion, from distant ancestors leaving their homeland on convict ships to the hardships of droving on the Maranoa or the cooling childhood memories of jumping off the jetty in mid summer. Acoustic instruments including fiddle, mandolin, flute and whistles, guitar, tenor banjo, piano and harmonicas pull at the listeners heartstrings with airs and waltzes, then lift the dancers’ heels with jigs, reels, and hornpipes. Tallowood’s vast repertoire of traditional tunes is complimented with a host of contemporary covers and witty originals. A new album is planned for 2014. Thirty-four years strong, Tallowood still roams the bush entertaining all who stand in their way, offering their well-established, good-time, family entertainment in community halls, woolsheds and backyards, as well as clubs and pubs around this great country.